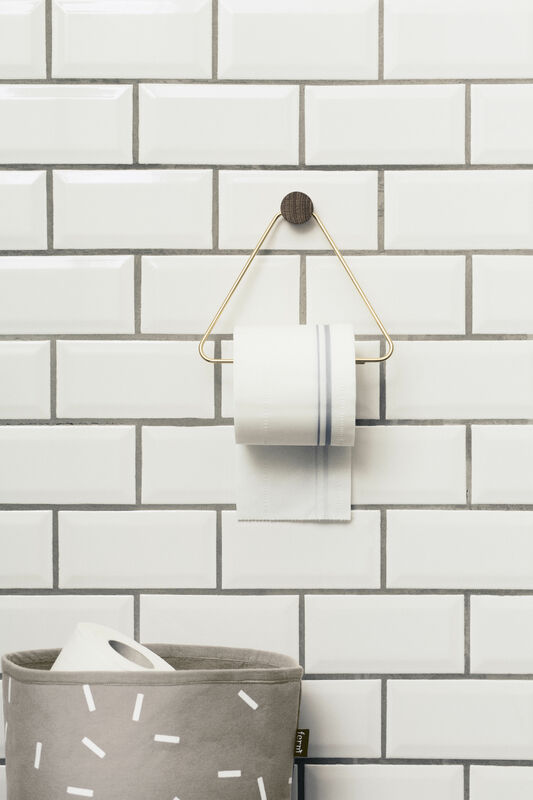 Hang your toilet paper in style... 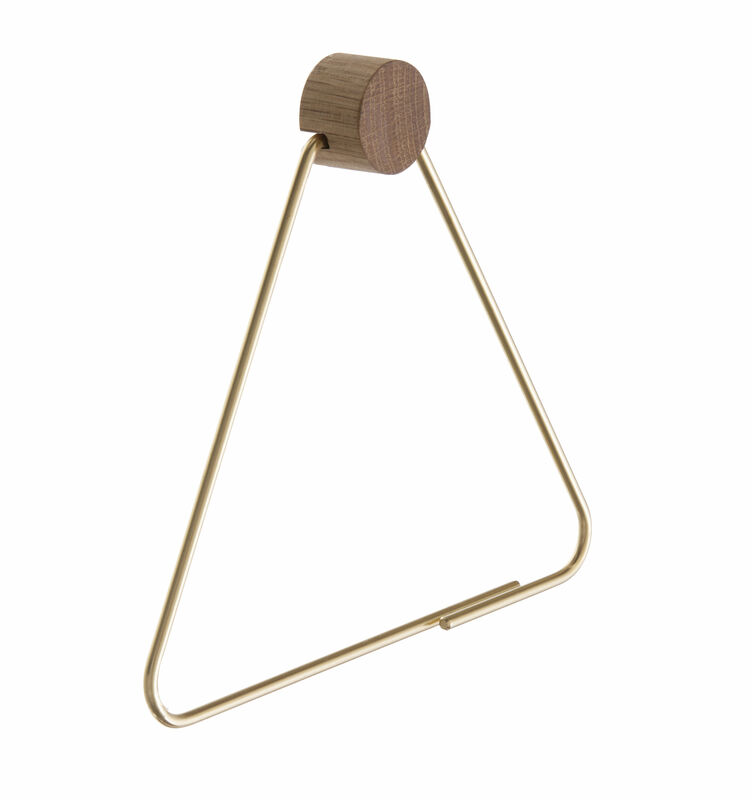 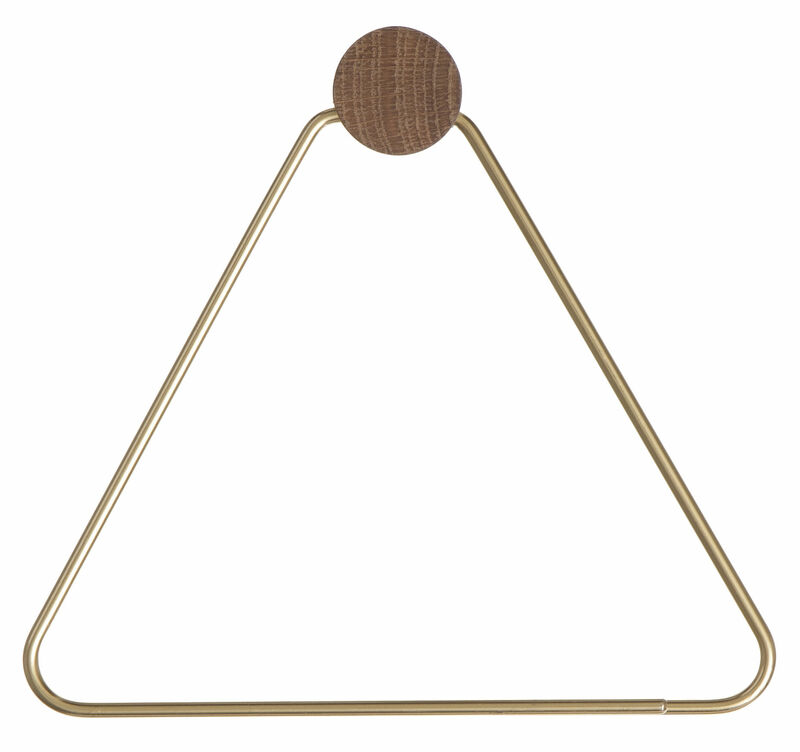 This elegant dispenser is made up of a brass triangle inserted in a smoked oak holder. 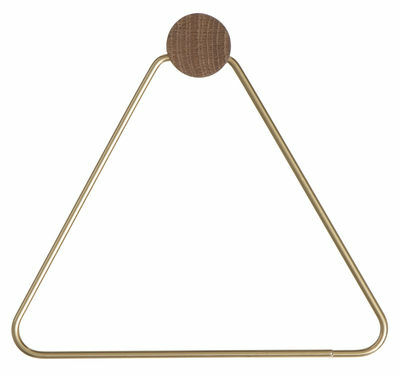 The metal shining like gold is ultra chic.